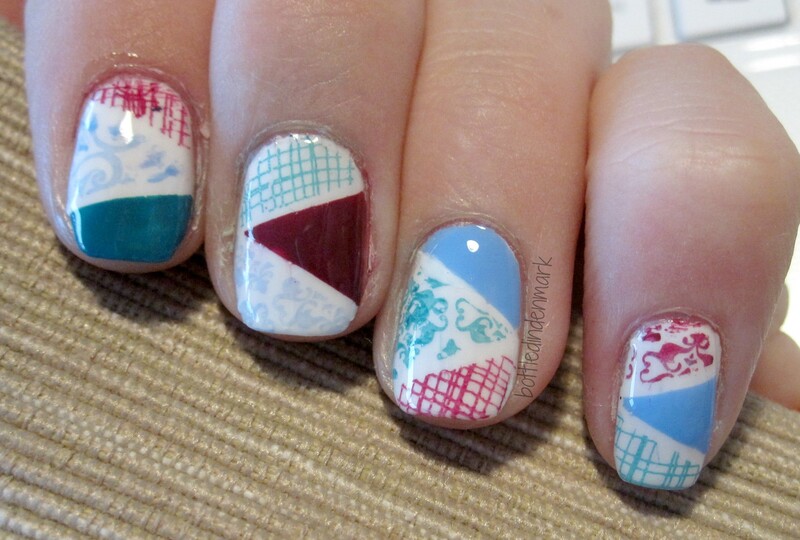 Patchwork nails are pretty popular, and now I wanted to join the group of people who have done them. 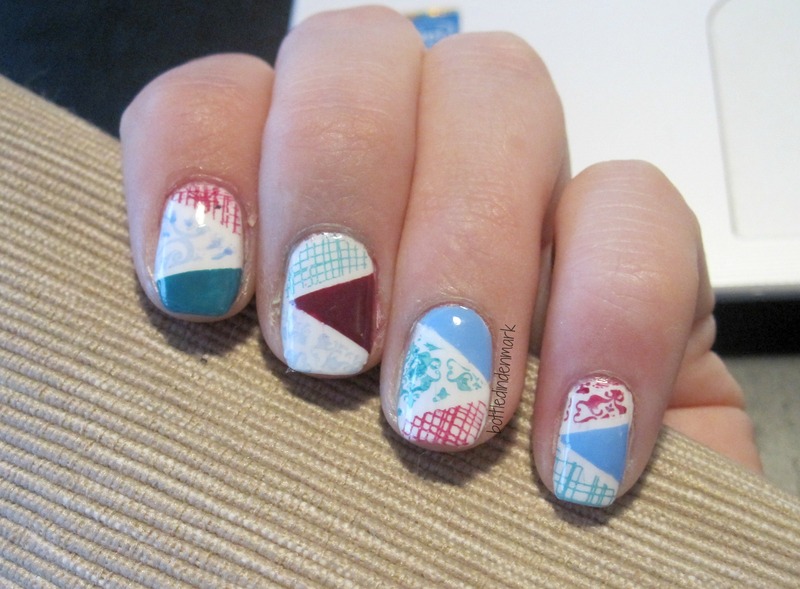 I think they look really cool AND it gave me a chance to work on my stamping-game. I still feel like a newbie when I pull out my nail stamping kit, and the only way to get better is to practice! I’m actually really pleased with these and kinda proud of myself to be able to do something this intricate with a stamper.